Howdy Libraryist! 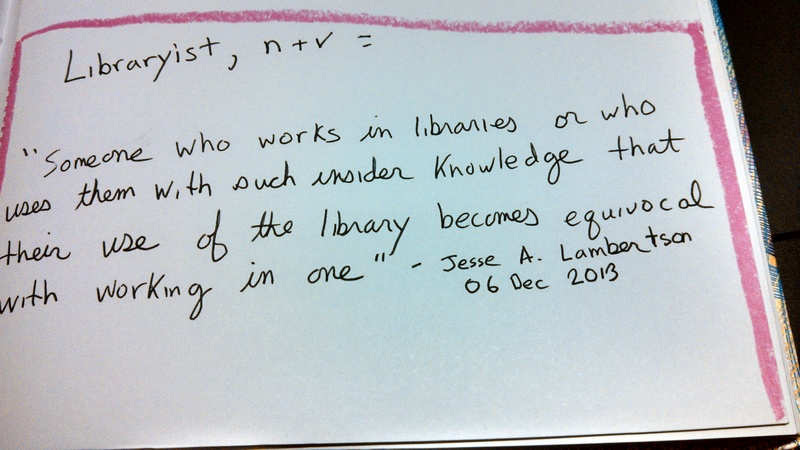 You weren’t quite the first person to use the Libraryist handle. My first email from from libraryist@gmail.com went out in February 2008. Even worse for both of us as wordsmiths, just after I congratulated myself on creating the term, I googled “libraryist” and found one and only one hit–a library worker in the UK who called herself “libraryist” too. Aye, thanks. Consider this a…new edition then… perhaps.